Cardonald - Glasgow, Scotland. 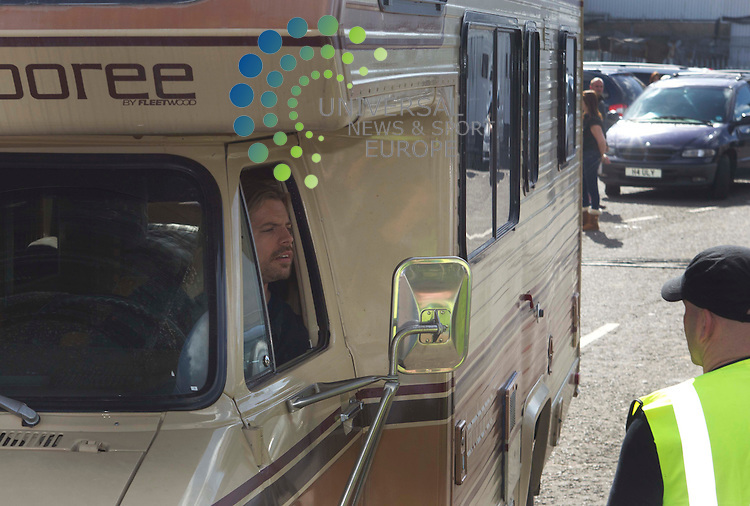 Brad Pitt body double asks for directions as he takes the sets Jamboree motorhome for a spin of the set during fimling on the super market set in Cardonald as notherday of filming of World War Z in Glasgow..Picture: Maurice McDonald/Universal News And Sport (Scotland). 20 August 2011. www.unpixs.com..